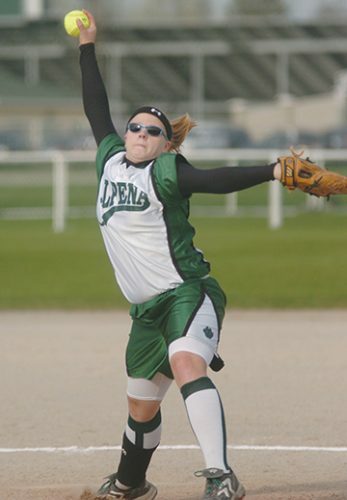 News File Photo Alpena’s Aidan Day dribbles the ball during an August game against Adrian at Wildcat Stadium. 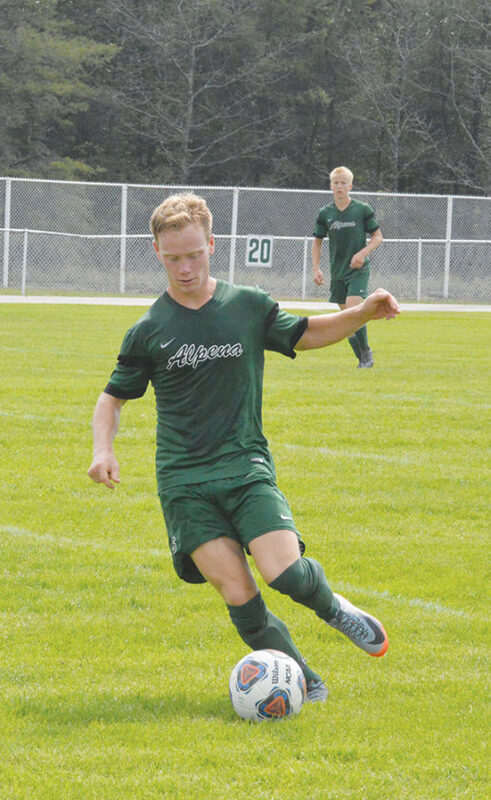 Alpena senior Aidan Day was named the top boys soccer player in the Big North Conference for the 2018 season. 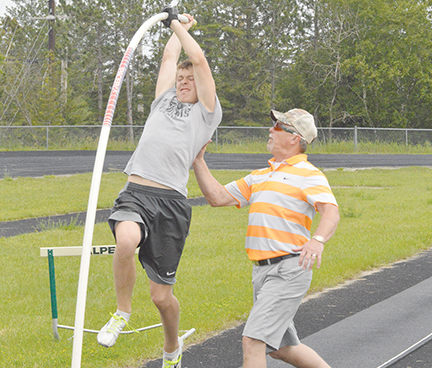 Day also set the single-game record for goals. In addition to his conference honor, Day earned an all-state honorable mention, first team all-region and all-district honors. Day was one of several players honored for their achievements during the 2018 season. Grant Botha and Wenton Harrison earned second team all-Big North honors and first-team all-district honors. Noah Carstens and Deven Saranen earned all-Big North honorable mentions. The Wildcats finished the season with an 11-8-4 record and lost in the first round of district play. 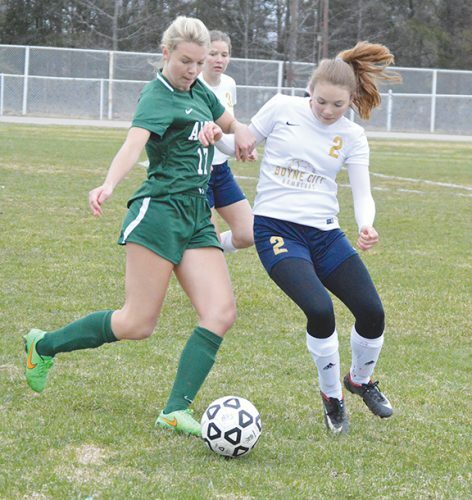 Day scored Alpena’s only goal in a 2-1 loss to Petoskey.